Ovation produces business films from concept and writing, through filming and editing, to sweetening and final delivery. 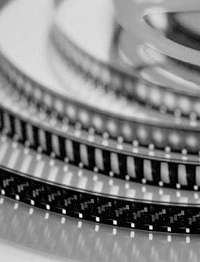 Our films are dynamic, our testimonials are glowing, and our prices reasonable. We produce films on budget, on time, every time. No excuses. At Ovation.tv, we learn about your business and the passion you have for what you do. We dig deep. We get inspired. Your passion becomes our passion. Then we carefully create your film � writing, producing, directing and editing � so when your viewers watch it they feel the same passion you do. Voila! Together, we will showcase the passion in your message so that when others watch your film, they will feel it too. In 2009, Brian officially teamed up with Louie Stevens (Films You Feel), with whom he�s worked independently since 1987, to produce award-winning films for business and government. Brian�s strengths of advertising, marketing, scriptwriting, presenting and coaching, combined with Louie�s extraordinary camera skills and post-production wizardry, give you a one-stop shop for your company�s videos from concept to completion. To see sample videos, please click here. We have garnered more than 30 international film awards for writing, directing, editing and producing. They include the Telly, Golden Angel and Cindy Awards.